I visited my 1st exhibition in about two years today one of the most striking things was the contrast between the realistic modelling of scenery (sometimes animals!) 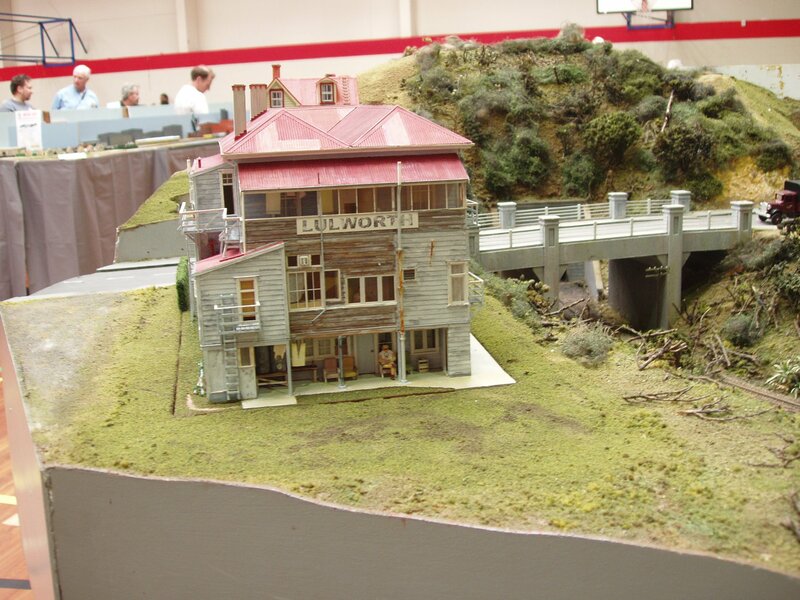 buildings and structures on models of New Zealand prototypes compared with an almost generic standard of scenic modelling on British models. On club "layout" was quite novel incorporating separate NZR and British Rail layouts on a common baseboard. The contrast was interesting everything was either scratch or kit built on the NZR side and everything fresh out of the box rtr on the BR side. 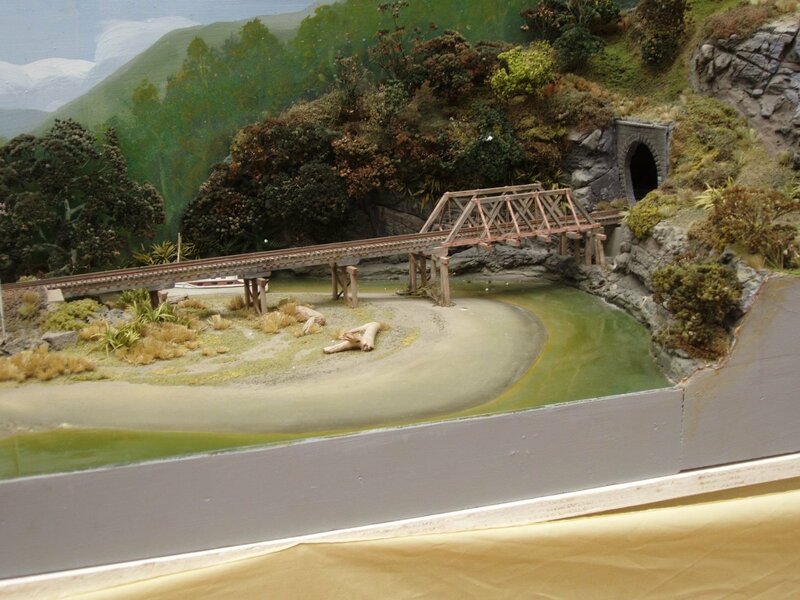 The NZR side was bascially completed to a high standard while the British Modelers had completed tracklaying and wiring but had not started the scenic work. 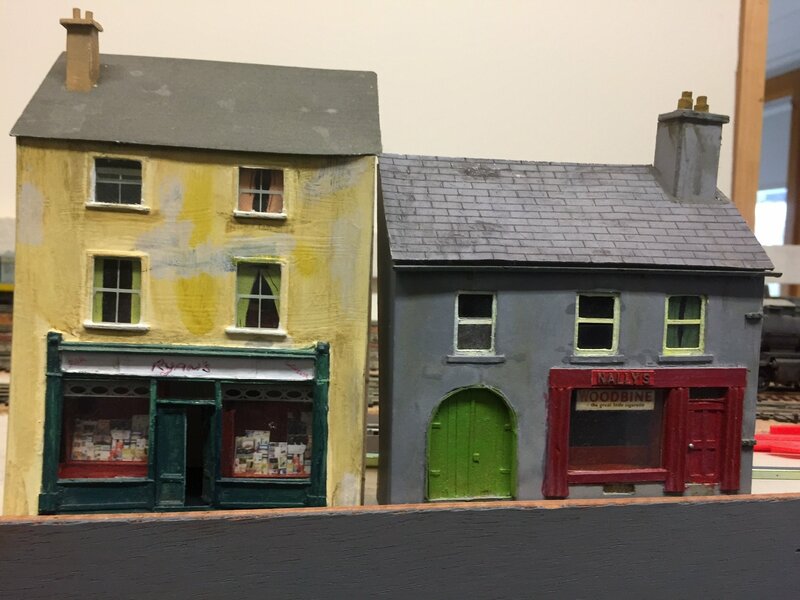 Most Irish layouts with a few notable exceptions tend to be indistinct in their scenery, buildings and structures and could be anywhere in the UK with the possible exception of Ireland. Has anyone thought about modelling the distinct regional variety between different parts of Ireland such as the GNR, County Down, C&L & SLNCR Drumlin Country of County Down and the Border & Midlands Region, the MGWR & GNR branch lines ines in the rich lands wooded lands of County Meath with their ancient monuments. The Fuscia lined West Cork branches and small harbours. The Government Extension lines through the wildest most uninhabited parts of Connemara, Mayo & Donegal? I tried to capture some of the atmosphere of the ridge of the Arigna mountains and the Lough Allen area in my Keadue narrow gauge layout. Thought are divided between open stone wall country of central Mayo-Roscommon or the Drumlin Country of Cavan with its hills and lakes for a 4mm broad gauge layout. Anyone have similar ideas or aspirations? Yes that is what I have always tried to do. I prefer to base my layouts out in the open countryside, the end result hopefully reflecting the area that the layout is supposed to be located in. Urban/City locations don't really appeal. These days modern architecture looks the same the world over and isn't for me. I'm often quite disappointed by 'modern' layouts. It seems like it should really be easier to model the hard, smooth surfaces and straight lines, but, with the very notable exception of 'our own' Barrow Street, it rarely seems to work (for me). I very much concur with your views Mayner, although I would focus more on the townscapes rather than the countryside. It may be that as a city boy, I regard the country in terms of 'if you've seen one field, you've seen them all'! I jest but urban building styles were, until quite recently, regionally distinctive. Think about the contrast between north and south Germany or the distinctive differences between different parts of Britain. In Ireland , the use of bricks was largely on the east coast. Town buildings in Munster were often three storey compared to two story's in the west; a sign of greater prosperity ? I have in mind to build a town streetscape, as it might have appeared in the early 1960s. This would feature those older elaborate shop fronts, the modest pubs, sober banks and perhaps intimations of creeping modernity with a mini market type shop finished with that Formica type cladding. And of course shop names etc in a whole variety of different typefaces. I remember seeing the work of the guys in Wexford in the Railway Modeller some years ago; it just screamed Ireland, especially the south-east. 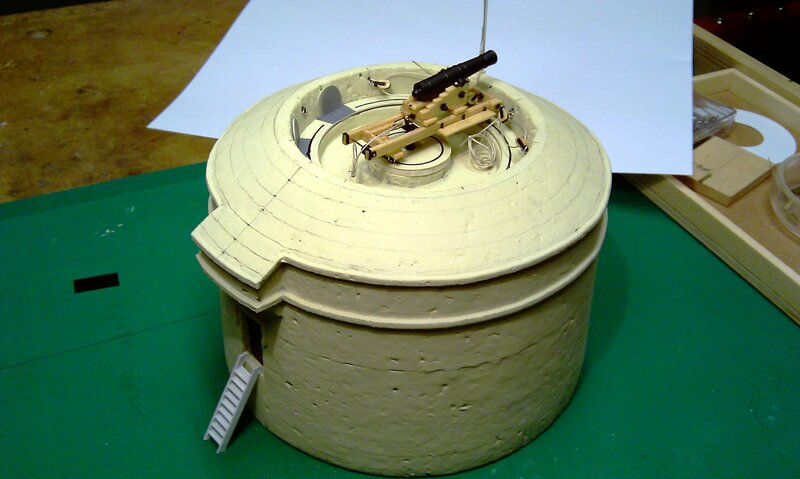 I've just remembered that I did make two buildings some years ago for a layout which I subsequently abandoned. I would like to think that they are distinctively Irish. In terms of urban -v- rural, it's simply a matter of choice. As a "townie", my personal preference is a "culchie" setting.... but that's just me... for those who like an urban setting (and we have many superb examples here, from the very different Fintonagh to Barrow St), finding inspiration is easy, as rural towns (and most of quite larger towns) have a basic streetscape the same as they did before the railways were built; look at 1st and 2nd floor level in your local town. The street-level sign might nowadays say "Costa Coffee" instead of "J O'Sullivan Victuallar" but the building is the same - the windows on the next floor up are the same, etc. So an urban setting in Tyrone, Westmeath, Kerry or Kilkenny can be researched by a wander round town centres on those areas. Same with scenery, and I very much like Mayner's ideas above. A BCDR-based layout wouldn't be the same without drumlins, and a west of Ireland branch without turf bogs and stone walls. In planning "Dugort Harbour", my initial scenic thoughts were to be very much based on Westport Quay, which in railway days* was a world of stone walls, small hills and gorse. (* It's covered in holiday homes and a greenway now...). However, with nothing much MGWR available, but on the other hand SSM GSWR 6-wheelers, and J15s available (and now the excellent 00 Works J15s as well), I began to look towards Valentia Harbour, Courtmacsherry or Baltimore for inspiration. The result will have the stone walls and boggy sort of fields around, with a small stone culvert under the line, and scrawny gorse against the perimeter stone walls. As for a backscene, I thought of going to one or other of those places and taking pictures of the distant scenery for a backscene. Those old buildings - superb! Ballybeg was influenced by Brian McCann's layout Ballyowen and work by John Walker including Ballinagee, Ballinagee Junction, Macmine Junction and Rathmichael. I made use of Alphagraphix card kits (more than 19) on the layout including both town and railway buildings. 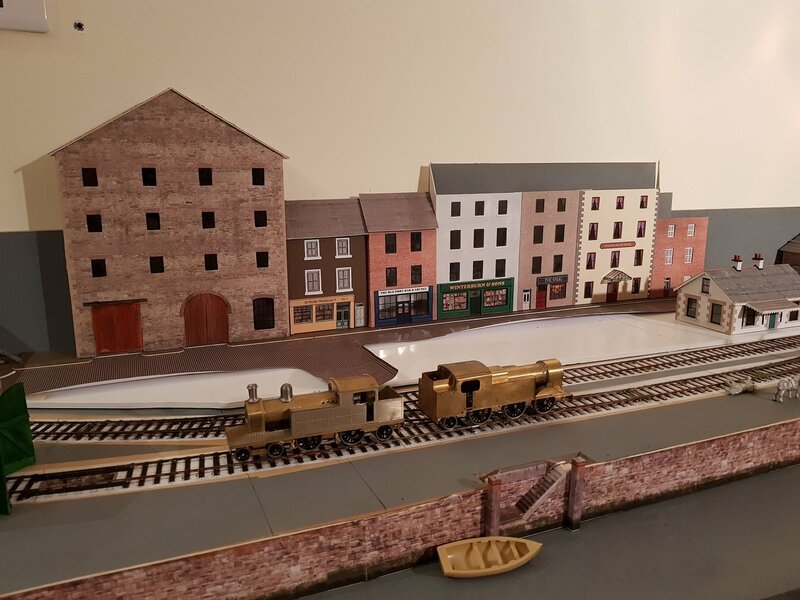 Other Irish touches include the use of stone arch bridges, footbridge from Hornby (which matches those used in Ireland), bi-lingual signs, P&T old-style telephone boxes, signals based on Irish prototypes etc. It reminds me that an Irish street scene should ideally reflect local family names. For example, O'Shea, Sullivan etc in Kerry, Power in Waterford, Brady in Cavan etc. A layout set in Dublin might display more diversity although some would say that the pubs should be Ryan's or Brady's, on the basis that many publicans originated from Tipperary and Cavan. All decent men, let me say ( don't want to be barred from any such licensed premises!). Certainly wouldn't want to be barred from here! ( don't want to be barred from any such licensed premises!). You could always go 'home'. Thank you for your suggestions gentlemen. It does however prompt a thought; pubs with railway connections. Maybe we should form a task force to investigate all of those Railway Bars around the country. We could rank them in terms of their relevance to railways (plus of course the quality of the pint). From selfless sacrifice, in the spirit (or spirits) of online community, I hereby volunteer. Lambe's and Phillips's at Ballybrophy. 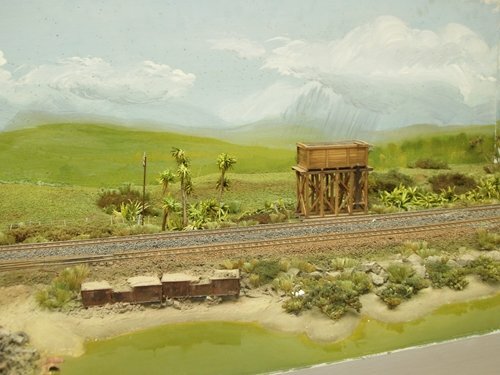 Some fifteen years ago while building a new club layout which was to be an accurate representation of a local junction station in the heart of Scottish Malt Whisky Country, namely Craigellachie, we found that there was no ready made backscene suitable for the location. It was impossible to get any photographs of the real thing, as the old station lay deep in Glenfiddich, which has steep wooded slopes on both sides, and the camera could not get far enough away to take any worthwhile shots. A compromise had to be made, and it was found that a few miles up the line in the Glen of Rothes, the landscape opened out enough to get a series of pictures across the Glen. Ideally, there should have been more wooded coverage, but it was the only vaguely suitable location that could be found in the time available. If I was going to do it again, I would pick a day when the light was better, and not on a dreich day in the middle of January. Pictures were duly taken and edited. They were then spliced together as can be seen in the following picture. After much adjustment to ensure the pictures matched up in colour and brightness, the finished picture was printed off on A3 sheets. The picture was also printed off in reverse, so that the backscene could be extended without it being too obvious. The pictures that contained the bungalow and distillery were only used once. There are six pictures spliced together, the join in the middle can hardly be seen, even at this stage. Incidently, the distillery is right next to the old trackbed, which then curved deep in the valley in front of the camera, and went off scene between the green field and the woods to the left in the picture. So it’s really no more complicated than getting an A3 printer somewhere! Guys, I can surely recommend this one, Should be there now, agh well. have to settle for here. The Tralee & Dingle crews used to drink there! Has anyone any experience of putting together your own photos to make a (somewhat understated) backscene? While looking for some inspiration for Port Cumtha, I looked for some photos reflecting a town /dock scene from somewhere on the east coast. What was suitable for some guidance was New Ross, as it can be seen from the other side of the river looking onto the quays. River looks like a calm sea if the bridge to the right is ignored. Just a wee measure of artistic licence used, but there are some good backgrounds which would provide useful footage? I may chop and use some of the photos for a backscene, as the background is quite dramatic. 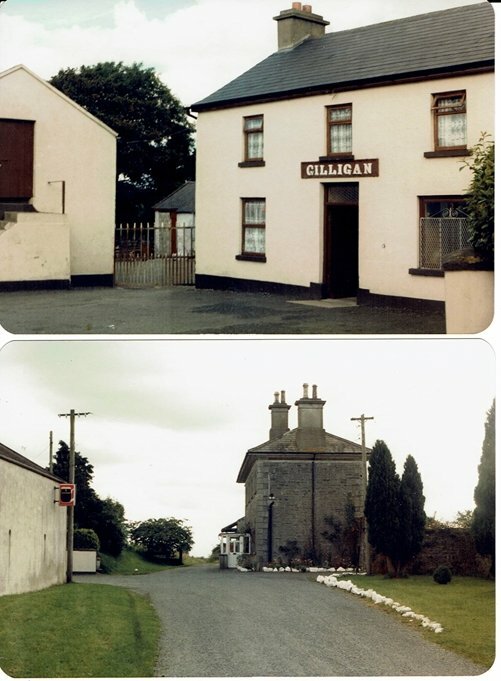 Gilligan's at Ballywillan on the MGWR Cavan Branch pretty much in the middle of nowhere like most intermediate stations on the branch. The station had a long cattle bank served by a loop opposite the station building, the goods yard and shed was further up the bohereen past the station. Possibly Gilligan's got some business in connection with cattle and general goods traffic (bacon?) or more likely a refuge for passengers on the up Night Mail while the train shunted the yard, passenger traffic was not exactly high priority on the Midland. Typical hotel/guest house run down part of town Ministry of Works standard concrete bridge in the background. "One Trak Minds" modular group riverside scene cabbage trees, flax and bird life, old open wagons dumped into river to prevent scouring. Typical river crossing using standard NZR timber bridge components. This form of construction was still common on secondary lines until recent years. 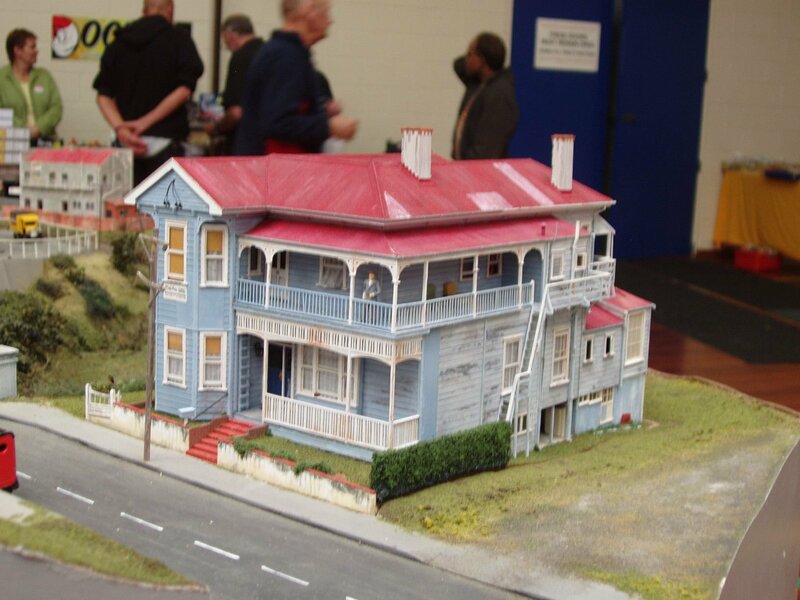 Those NZ model buildings are superb ; love the roof patches. 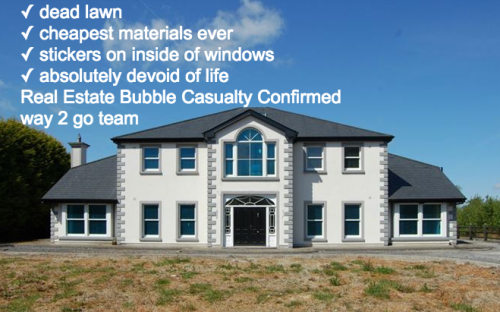 Anyone model a modern era McMansion yet? Some things unique or different to those found in Britain; schools and churches esp the faintly Art Deco 30s and 40s built ones, many still in use now. Vanishing or in declining numbers; combined grocery store/pub and/or hardware store. Combined small grocery store/filling station. Thatched or tin roofed dwellings or shops, think there may be some regional variations of thatched house. In country areas; Marian grottoes, graveyards with high crosses/tombs, ruined castles and 'big houses' with accompanying high walls and gate lodges. Ring forts, Megalithic monuments. Creamery buildings, many disused or repurposed now. 70s bungalows, traditional two story farm dwellings and the maligned McMansion. Maybe a caravan encampment! I've seen them next to several stations in the 1970s.....! I went to a recently-closed station in the late 1970s to take photographs, as the track hadn't been lifted. A group of citizens who appeared to be living over the wall were obligingly assisting CIE in removal of metal components as I visited. Sorry, can't resist. This is actually in Co Sligo. Be the way, I did them people's drive just down the road and I can do yours for a good price. Cash, sir.